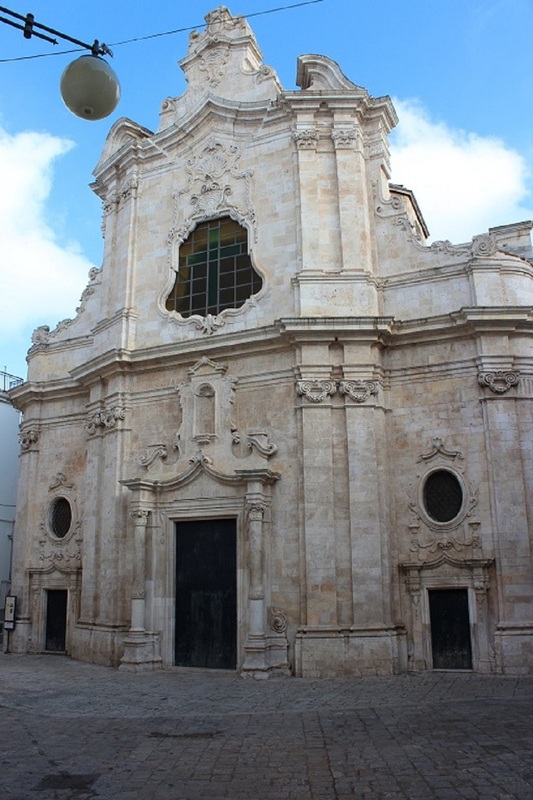 The Hospital Santa Maria degli Angeli in Putignano (BA) was founded in the far 1540 and had its first site within the area that surrounded “Santa Maria la Greca”, a small church in Via di Santa Maria, just in the middle of the historical centre of the town. Those buildings, no longer existing, could give hospitality to a small number of patients because of their reduced size. As a consequence of this, in 1600 the Hospital had to change its location. Francesca Antoniano1 , one of the richest noblewomen in town, typical example of the “pius benefactor”, decided to buy, with a notarial deed which dates back to 10 March 1600, Pompilio di Staso’s house, situated near the San Antonio Abate’s Church (originally called San Pietro’s Church) in Putignano2 , turning it into a Hospital for the Poor and Orphans3. Sister Antoniano expressed in her testament her desire to make the hospital “Santa Maria degli Angeli” her only heir. The benefactor’s house soon proved to be inadequate and started to decay. Despite the numerous attempts to make it wider and to restructure the building, the hospital service was dislocated in a house made available by Rosata Romanazzi, another charitable soul. This new building, located today in a street named after its donor, turned out to be inappropriate, once again because of its small size. Francesca Antoniano belonged to The Confraternita della Morte e Orazione (The Brotherhood of Death and Prayer)4, an association with the purpose of piety, worship and charity, created in Putignano in 1581. The Confraternita, thanks to a financial contribution from the town council, enlarged and restored the house in front of the Convent of Santa Chiara, where patients were transferred in 1734. Giuseppe Napolitano, Putignano: le Istituzioni, le Curiosità, la Toponomastica, Vito Radio Editore, Putignano 1984, pp. 154-156. 1. Egisto Scalini, La Confraternita e la Nobildonna,op. cit., pp. 92-99.